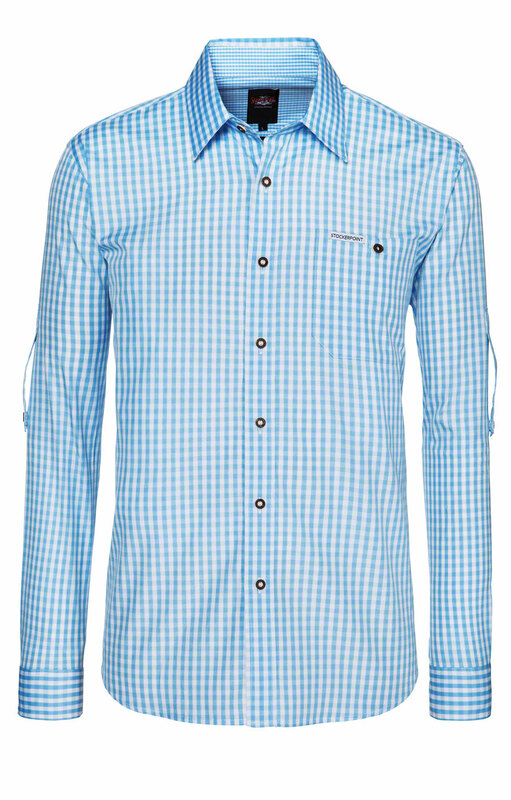 Campos2 light blue and white chequered shirt. 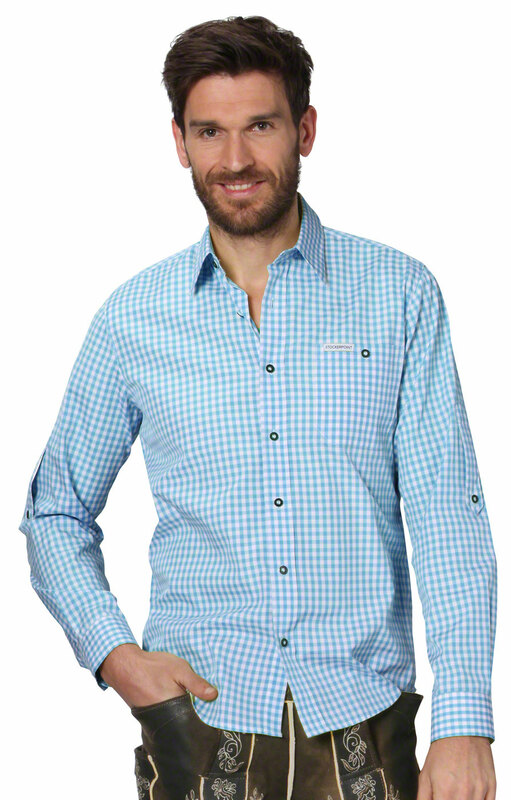 The Campos2 chequered shirt for men is a stylish and smart shirt ideal for wearing with lederhosen, but it can of course also be combined with jeans or any other sort of trousers. 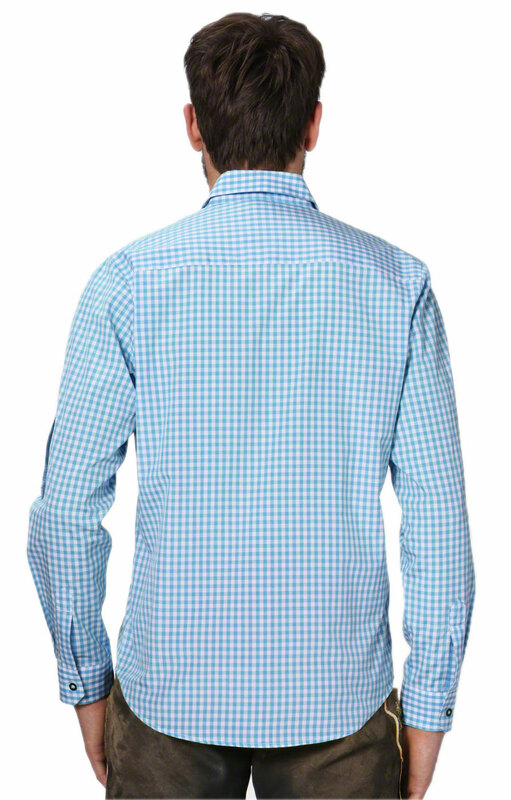 The light blue and white chequered squares gives it a calming and peaceful look. 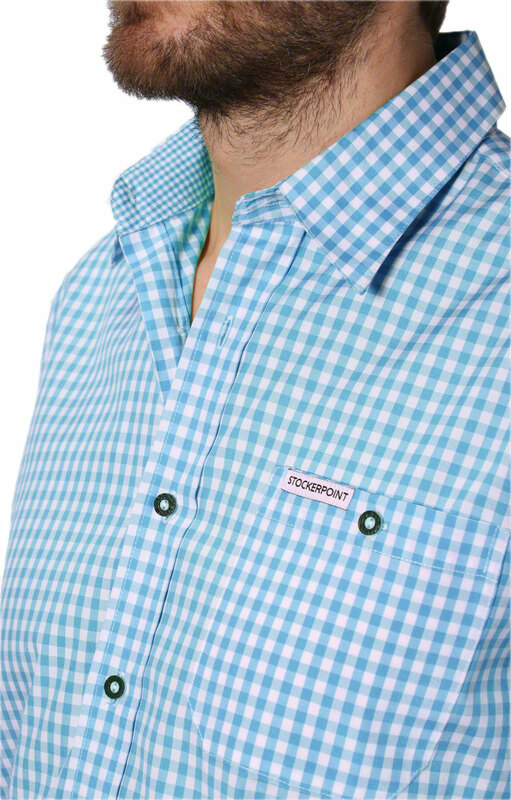 It features buckhorn buttons and the Stockerpoint logo on the breast pocket. 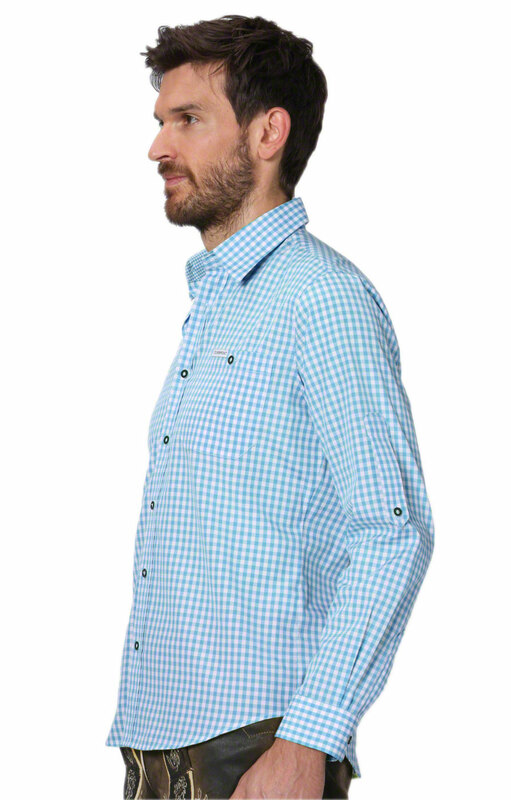 With short sleeves and light fabric, this a great shirt for wearing during the warmer seasons. Perfekt - alles ok, Größe, Qualität, Farbe. Perfekt - alles ok, Größe, Qualität, Farbe. Angenehme Trageigenschaft. Gute Passform. An den Ärmeln ein Tick größer, aber tragbar. Die Farbe ist schön. Der Stoff angenehm. 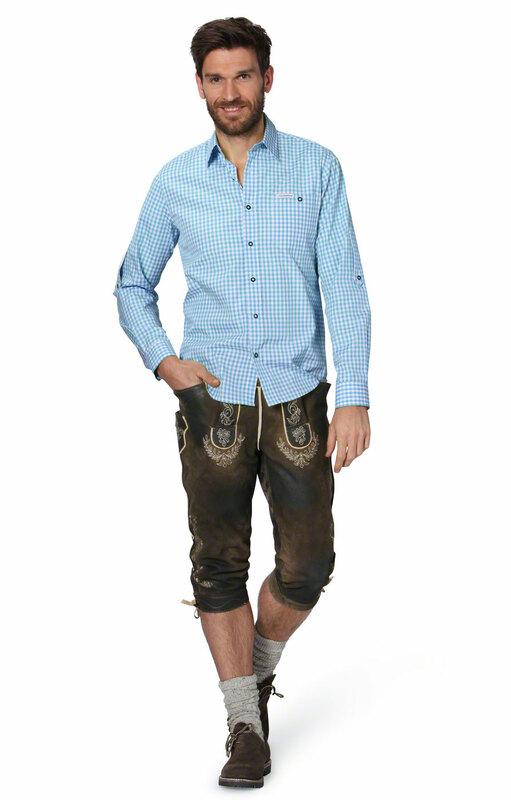 Das Hemd sitzt perfekt und ist guter Qualität. Es sieht modern aus und lässt sich angenehm tragen. Super Preis.